Last week I was in search of crocus and now there are in bloom just outside Keukenhof. When you travel by public transportation the last roundabout before you enter Keukenhof you will see a two beautiful stripes in white and purple (on the left side of the bus). And the field next to the windmill has turned yellow by the daffodils. Beautiful sight from the platform of the windmill. At the Keukenhof you can still find a lot of green leaves of the flowers. But the Keukenhof gets more and more color every day. I can see much difference between the first day of opening and the blooming today. The crocus inside Keukenhof are in bloom and the daffodils bloom at some places. Near the bulb statue and at some places around the park you can find very small red tulips. (see photo above) These are the very early tulips. On Twitter a photographer shared with me that there is one early red tulip field in bloom. It is the same tulip as in Keukenhof. Don’t worry the normal tulips will bloom a bit later. For tulip lovers the indoor tulip festivals are a lovely sight to see. The Oranje Nassau pavilion is full with all kinds of tulips in a Vincent van Gogh decor. And at the Willem Alexander pavilion more than 600 different varieties are in bloom. The weather changes quickly from warm and sunny to freezing cold and grey. I expect to see more daffodil fields in bloom. And maybe we can find one or two hyacinth fields in bloom. At this point we are still expecting a regular springtime this year with tulips blooming in the fields from the 2nd/3rd week of April. For updates of last seasons have a look at our website. We shall be visiting Keukenhof some day between 6th and 10th April. Not sure what to expect? Will there be tulips bloom in the fields. Hi Rupesh, See our weekly updates for this. At this moment we expect to see the tulips starting to bloom in the fields from the 2nd / 3rd week of April. It is nature so we can’t be precise of the exact date of blooming. It all depends on the weather in the next weeks. Thankyou and will check the updates. Hoping for the best. Is there any hope we will see tulips blooming when we arrive on May 7? 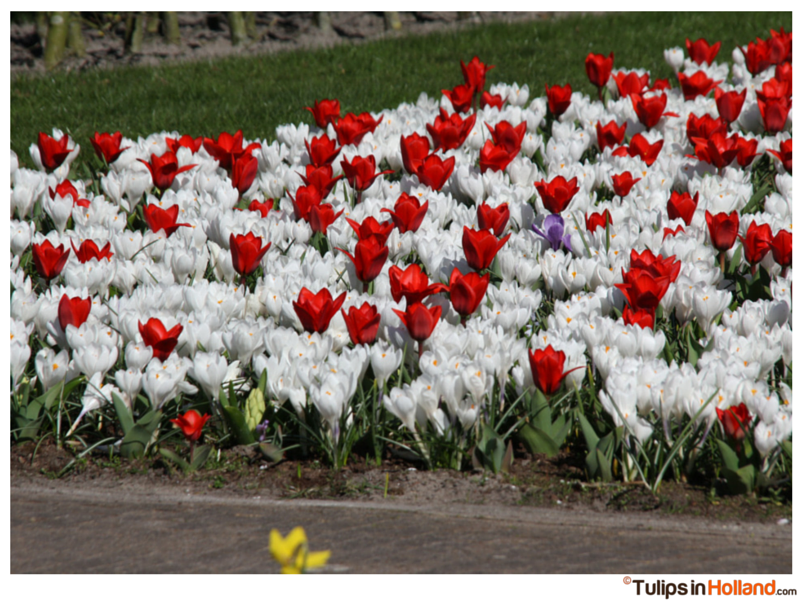 It all depends when the tulips are starting to bloom and what the weather will be during blooming. at this point it is too early to tell if the tulips in the fields will be in bloom at May 7. I’m planning to visit keukenhof gardens on 21-22 April? Please let me know if these days are the best days to visit the tulips of keukenhof? Hi Oana, the best days to visit the tulips is a bit difficult to predict. The early tulips are just in bloom and a lot of tulips need to grow before they are going to bloom. When they are in bloom it depends on the weather and temperature how fast they are blooming and nature will determine peak blooming. So if the 21 – 22 are the best days to visit is difficult to say at this moment. There will be tulips in bloom and Keukenhof will look lovely at that moment. Keep an eye to our weekly updates and sign up for the weekly newsletter here: http://tulipsinholland.com/sign-up-for-weekly-flower-update/ and decide for your self what the best day is to visit. Have a wonderful trip. A friend went there last weekend (28th of march) and said that a lot of tulips were damaged by the strong winds and storms of the previous days. Is it true? How affected were the fields? I visited the Keukenhof yesterday and the flowers recover quickly. The indoor tulips are not affected and the outdoor tulips are very short tulips (they are not blown over because they are so short) there are some tall tulips in containers but they were standing tall again. The tulips in the fields are short early tulips and the regular tulips are not in bloom. Don’t worry the flowers will be fine. We just need some sunshine and warm temperatures and than the flowers will bloom quick.